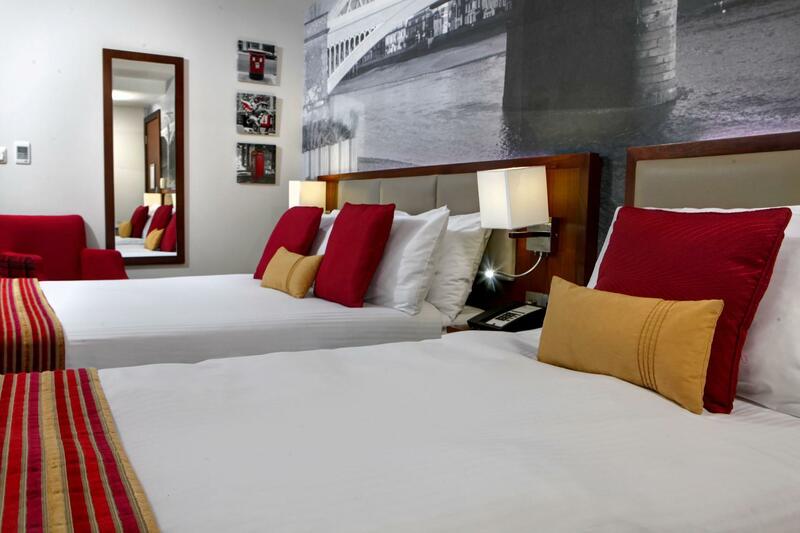 Best Western Plus Seraphine Hammersmith Hotel: In the centre of Hammersmith and all of its entertainment amenities, the recently opened Seraphine Hotel adorns its rooms with luxuries like iPod docking stations, free internet and flat screen TVs. The boutique bolt-hole has impressive connections to Central London, Earl’s Court & Olympia convention centres and Heathrow Airport, as well a handy concierge who’ll be much obliged to call a cabbie. Staying closer by, the hotel is less than a London minute from a spacious shopping and eatery district, and only a little further to Hammersmith Tube. Contemporary, individually designed rooms retain a slick charm, and, downstairs, the bar is fully stocked with tipples. Snuggling down into uniquely decorated surrounds of their deluxe or executive double room visitors will find en-suite facilities with rain showers, and a safe big enough to fit a laptop. After a day, exploring London town, and possibly a night at Hammersmith Apollo or LyricTheatre, pairs will wake up with a continental breakfast. 12% Off our already low pre-paid package, when booking room only or bed and breakfast. Available on one, two, three or hundred night stays. Free Wifi during your stay. Free use of the health club facilities (where available). 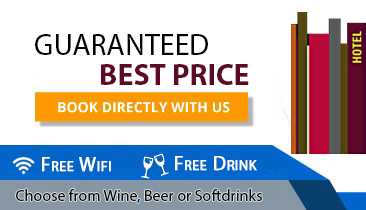 A free drink for your friend or other half during your stay. My husband and I stayed at this lovely hotel from the moment you walk in you can see it’s a chic hotel nicely decorated and very clean spotless in fact . 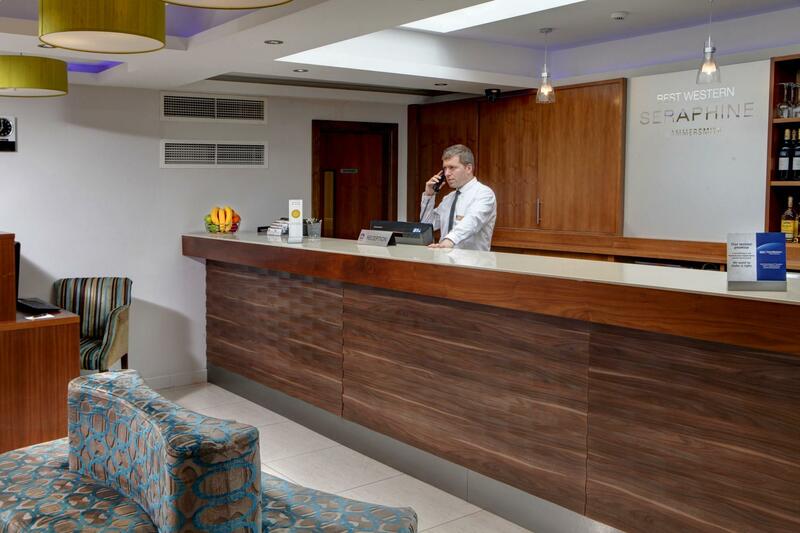 The staff on the front desk met us with genuine smiles and were so friendly and welcoming we instantly felt at ease . We were upgraded to a superior room which was a so appreciated Thank you . which was nicely decorated and was spotless . It was light and airy and cool as it was so hot outside . We slept very well . The shower was brilliant. Breakfast was Continental style there was plenty to choose from you won’t go hungry and staff were always topping the food up . it felt a very relaxed start to the day . We will definitely be coming back to this smashing hotel we look forward to seeing you again thank you for making our stay so perfect . see you again . I can highly recommend this hotel give it a try you won’t regret it . Booked this hotel because it was reasonably priced for our 4 night trip to London and in a super area. If money isn't an object and you would like a romantic stay well this isn't for you. This is really a room only hotel...with the breakfast area combined with reception and a bar all rolled into one. However the rooms are modern contemporary but the doubles are on the small side...room tip...go for the executive doubles they are larger and have windows to the high street, the doubles have only skylights. The bathroom are good with a lovely drench shower. The breakfast is continental but very good and the coffee is so so good ! as the pastries. Lots of people use this hotel for the Apollo as is not far away . If you do stay here you are a short away from the thames....dont miss the Dove pub its lovely right on the river. Room Tip: don't book a double go for the executive double. Came here for a couple of nights, and whilst the presentation outside leaves a lot to be desired the inside of the hotel is a lot better. Our check in was quick with the staff being very friendly and helpful. Our room was for three adults sleeping and whilst very compact it had everything you could want and a little more. Sleeping was very comfortable with a double and single bed, air con/heating worked well, plenty of storage space / drawers etc and tea / coffee facilities also a safe is located in the cupboard. The shower room is the only real downer, its small with a very small sink, however the shower was one of the best I've ever had the pleasure of using with water pressure cascading on my head at an unbelievable rate, really good!! Breakfast was continental and again this was more than addequate or for approx £5 you could pre order a hot english breakfast. Location is approx a five minute walk from Hammersmith Tube station and several restaurants are in situ with a couple of good 'Weatherspoons nearby or a short walk to the River will bring you to more eating establishments. Really enjoyed my visit and I would not hesitate to return, it did exactly has it said on the box!!! Booked this small modern hotel for one night stay. Location great for attending Apollo as within five minutes walking distance. Entrance and outside appearance are deceiving. Inside is a very nice, modern, quiet, relaxed and very clean. Our Room was compact but well designed and furnished, nice subtle mood lighting, and very comfortable. Flat screen TV, free Wifi, tea making facilities, room safe, mobile phone charger all in in room and good ensuite facilities with an array of toiletries. Nice continental breakfast, cooked breakfast available too if ordered. Staff very pleasant and polite. Only complaint was they had limited bar facilities and night we were there had no gin!!! On a busy High Street but late at night bars outside were all closed. Room Tip: Our room faced front high street but double glazing good and kept traffic noise out. Just a short walk from the tube, but watch out you could walk right past the small sign outside. We arrived early, around 10 am, but to our surprise the room was ready and we checked right in. Small, but very clean and had everything you needed. The room we had was on the third floor away from the elevator and very quiet. The morning breakfast was very good they supplied both cold and hot options so you won't leave for your day hungry. Whatever I needed from an ice bucket full or an iron it was provided right away. Would I stay again?, yes and I recommend it. "Clean and modern in convenient location"
We stayed here for 5 days at the end of our vacation. It was conveniently just 3 blocks from the tube station and there were lots of restaurants and pubs nearby. The hotel was bright and modern looking and the decorating in the rooms was light and airy. We booked an executive room but the room that we got (#111) was on the main street first floor and quite small. However, I was feeling quite ill and just wanted to lie down right away so we did not ask to be moved. Although we were on a busy street we did not hear any traffic except for sirens. It was not a problem. The bathroom was very clean and the rainhead shower was wonderful. There were beverage making facilities. The breakfast provided a variety of items including yogurt, fruit, juices, bread and croissants plus cold cuts and cheese. As others have mentioned there were problems with the wifi. Even though we were booked for 5 nights we were given a password good for only one night. They did give us another one but surely they could do better than that. We recommend walking down to the Thames (3 blocks) and doing the Thames walk. There are several nice pubs along there and gardens to sit and enjoy the view. The Piccadilly line goes through the Hammersmith station and goes directly to Heathrow. Very convenient. I've walked past the entrance to this hotel a hundred times and always thought "no way I'm ever staying there" - it's unfortunately placed on a really unattractive part of the street with KFC and other stuff around it. 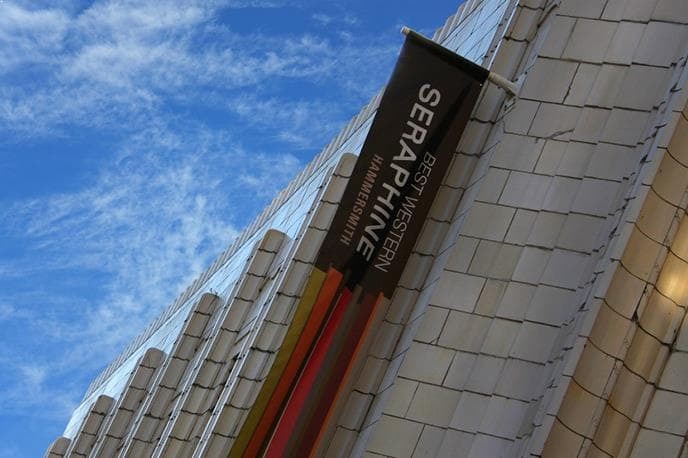 But on a business visit this week, my office booked me into the Seraphine - so I took a deep breath and checked in. What a surprise! It's actually very, very good. Excellent in fact, for a small hotel offering a "boutique budget" experience. Once you've made it up the stairs from the street, the reception and bar area are really light, bright and clean. I was given a warm welcome and checked in quickly. I was on their 3rd floor (highest up) and although the corridors are quite dark and narrow, the design is fresh and appealing. My room (322 I think) was tiny. A double bed. A chair. A small desk area. And a shower room. But everything was carefully designed and laid out. Everything was very clean. And the tiny shower room was brilliant - a massive rain head shower with room for two to squeeze in, if that's what you wanted! I was on a work visit so didn't try any food or drink. I just stayed overnight (quiet, dark) and left early the next morning. For a short inexpensive business stay, I'd say that this place deserves an excellent rating.